Many companies find it difficult to introduce a mobile app strategy into its current business model. Existing modes of thought, legacy systems, development philosophies, and even undervaluing the importance of mobile app development overall are just a few of the reasons companies are lagging behind the demand for mobile app innovation. This opportunity to build a new channel of scalable business is a blind spot for many entrepreneurs, founders, and enterprise executives. On top of that, the costs involved in transitioning from existing processes and launching a successful mobile app weigh heavy on the minds of management. 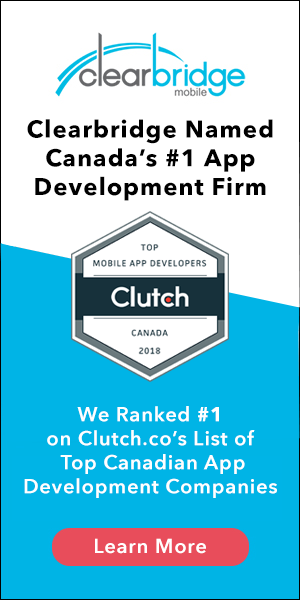 It’s easy to make miscalculations, and when companies are evaluating investments like app development, avoiding the errors that can cause development costs to inflate is a must. So, the question is at the top of mind for many: how much does it really cost to build a mobile app? What development approach are you taking: native, hybrid, or web? Are you thinking about your marketing campaign? Are you factoring in on-going maintenance and support? Have you budgeted for contingency? What is your change management strategy? There is only one accurate answer — determining the cost of mobile app development happens on a case-to-case basis. This is probably the most frustrating answer you could have hoped for, which is why we created the Definitive Guide To Mobile App Development Costs Infographic to serve as a reference point and illustrate how proper planning and management influences what you end up paying for. As well, the infographic details which components of development affect cost and how to best manage the entire process to keep your project on track. The following article explains, in more detail, three essential considerations for managing the mobile app development process; referring to the infographic alongside this blog post will help you gain a well-rounded understanding of the budget you require for development. Mobile app owners who diligently oversee these three areas of development are in the best position to fulfill user needs and maintain satisfaction over time. Also, this approach to product management helps retain development costs while delivering on the overall business purpose of the application. In the early product discovery stages, there are two traps you can fall into: over-conceptualizing and under-conceptualizing. To avoid these situations it’s essential to set clear product goals, determine business outcomes, and prioritize product features for your development team to align product functionality with your core users’ pain points. You need to be thinking about what problem do your users have that your app will solve, and what is the central functionality required to deliver a solution? If you’re not thinking strategically about developing only the foundational features your app requires, you risk spending more money on additional functionality that doesn’t deliver value. Features can go unused because they don’t serve a purpose in addressing user needs, and the product concept moves ahead in the development process without reason. For example, you may anticipate a need for several user flows, but realize you only need one to deliver the product’s value promise. From the opposite perspective, under-conceptualizing and unclear requirements can result in not enough functionality to address user needs. The risk of developing more (or less) than you need is why validating your product assumptions is so important. Starting with a core feature, learning how users react to that feature and building in accordance with user feedback is essential for determining the appropriate amount of functionality your product needs to acquire and retain users. Using the minimum viable product (MVP) development method allows your team to learn how your target users experience and react to the app’s core purpose, and with this insight, you can allocate your budget to areas that best satisfy your overall business objectives. Building an MVP is an iterative process designed to identify user pain points and determine the proper product functionality to address those needs over time. After setting the foundational product requirements, which define the scope of your MVP, the project moves into development. At this stage, avoiding additional development costs depends on synchronized, cross-department knowledge transfer between every sprint and release. Mobile app products consist of various systems and subsystems meaning product requirements cycle through multiple stages of development and run the risk of getting lost in translation along the way. If you are not managing and balancing knowledge transfer at each technical requirements intersection against business requirements documentation, development mistakes can cause the project scope to expand beyond your budget. To avoid inflating the budget, iterative development is indispensable for verifying technical requirements at each stage of development. At the same time, an iterative process allows your development team to evaluate whether each technical addition supports the objectives for the next sprint, as well as the business goals of the product. Change is inevitable in mobile app development, and without proper planning, it’s very easy for change requests to cause your team to lose sight of the original product concept. External forces like user requests, emerging technologies, and competitive threats can all crop up during development causing development teams to rethink product requirements. Internal forces like unexpected user research and test results can also have the same impact on your change management strategy. Put simply, product deviations cause costs to inflate, but some changes are necessary. Problems arise when unanticipated change is executed without considering the impact on the original purpose of the mobile app. The key is to build flexibility into the process and direct change back towards achieving the originally defined product goal. Creating a product requirements document (PRD) during the early discovery stages of a project provides development teams with a reference point from which product owners can thoughtfully consider the necessity of change in relation to product goals. While the cost of a mobile app is different for every project, planning helps depict a more accurate price range. The goal is to minimize fluctuations between initial product requirements and what’s actually built in the development stages. The areas of a development project mentioned above are only three that can have a huge impact on cost. There are many other considerations to keep in mind during mobile app planning. Download the Definitive Guide to Mobile App Development Costs Infographic to get a complete view of the factors influencing project costs.